Quay Australia are the sunglasses brand that seem to be on everyones lips this year. The super cool brand make a variety of sunglassses in so many different styles ad patterns with something to suit everyones needs. From oversized retro bug eyed shapes to intridcate metal designs and festival ready looks. The ones Im wearing in the photos are actually one of three I have in that style (I have brown tortishell and black) and I simply adore them. The cat eye shape is really flattering on my face shape and conicidently the shape of sunglasses I like the most. I always get compliments whenever I wear them, Even to the point where people stop me on the street and ask me where they are from! Quay Australia are a seriously cool brand and I totally recommend checking them out. They are stocked on Topshop and on ASOS so give them a little browse fo'sho! 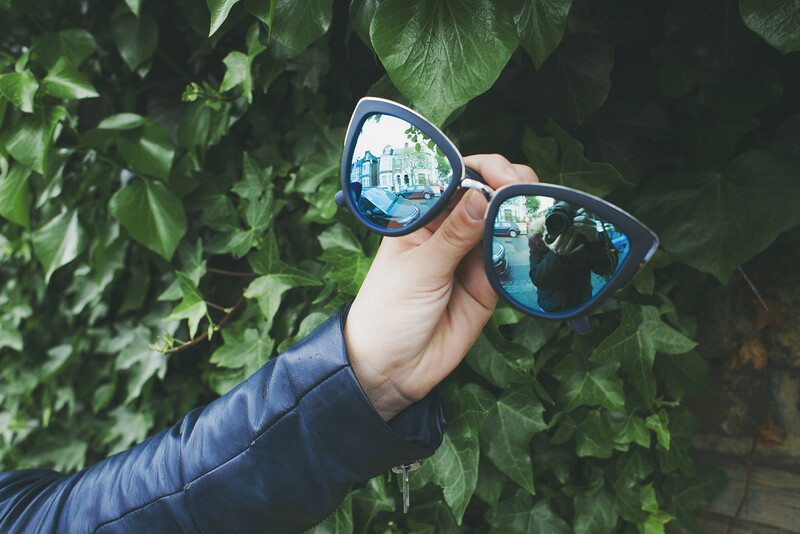 I seriously love the shape of Quay sunglasses, but they have so many designs that I'm just in love with! I was looking at those exact sunglasses on Topshop yesterday but wasn't too sure on them, I think you've persuaded me to get them now! I'm in LOVE! the sunnies are absolutely amazing, love them! i definitely need to check this brand out! These sunglasses looks indeed pretty awesome to you. I have to admit that to you, even if this is not my personal taste in sunglasshape. Those sunglasses really do suit you, going to have to check out Quay Australia! I'm addicted to buying sunglasses! Those sunglasses are awesome and look great on you! Woah these look so nice! I'll have to go to Topshop to check them out soon. Fingers crossed they have them! I love Quay! They make such cool funky sunglasses at a super affordable price. My new faves! I can't spend too much on sunglasses since I always lose them! I've been drooling over Quay sunglasses for a while now, but I've never been the type of person to spend more than $15 or $20 on a pair of sunglasses. I like to try them on too because sunglasses don't always suit my face shape :/. I did just get a new job though so maybe I'll treat myself to a pair! I have these and absolutely love how they look but I find the lenses are so much heavier than the arms that they fall off a lot, still perfect for a selfie though hah! I have sooooo many pairs of sunnies from Quay! love them to bits. Such a nice look! Thank you for sharing! 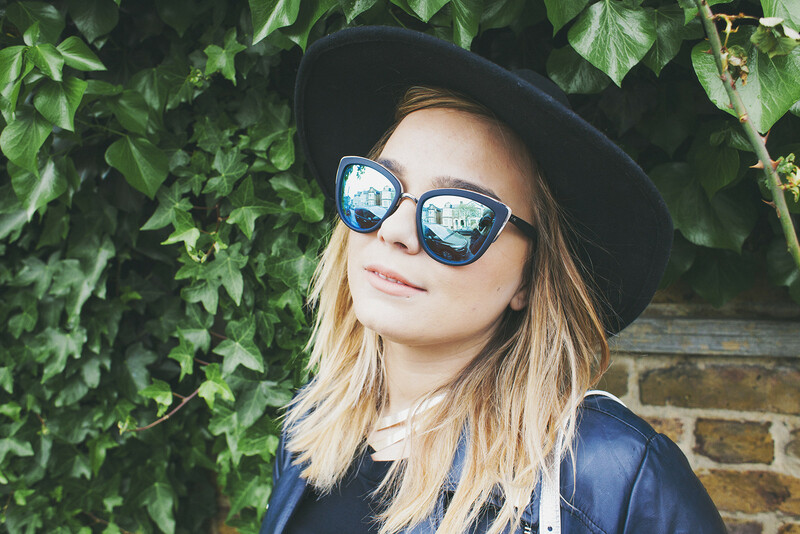 Cat eye sunglasses are my favourite, I haven't seen any like this before with the mirrored lens - they look so cool! I've been after a new pair for so long, I'll defiantly be purchasing! I have a pair of the vesper cat eye sunglasses.I can no longer leave my house without them! Check out my blog post on them! I'm an aspiring fashion blogger and any tips you have for me would be amazing.